For decades, students in most of Canada’s remote First Nation communities had no choice other than leave their home communities if they wished to pursue a high school education. Many communities in the Nishnawbe Aski Nation (NAN) territory did not have the numbers to financially justify a high school funded through the federal Department of Indian and Northern Affairs. So each year communities in the north were emptied of students age 13 and above who travelled to cities and communities, as far away as Toronto, to try and attain the secondary education that other Canadians take for granted in their home communities or area. Many of these students experienced a shock in culture, being separated from their parents and families, education programmes not designed for First Nation students, and new peer influences. Some students experienced cycles of failure, as they tried year after year to make it in this new system only to be sent home after a few weeks when it was established that they were not doing well. Sadly, many students did not make it home alive, with an unbelievable number of the First Nations youth returning home in caskets due to an inability to handle the changes that life away from home brought. In the late 1990’s Keewaytinook Okimakanak (KO), a chiefs’ council in the NAN territory, was involved in an Industry Canada initiative to investigate the community effects of broadband technologies in the advancement of economic and social growth in First Nation communities. This enabled advancements in the communication technologies infrastructure for medical programmes, economic development and general educational opportunities – as well as other local initiatives. With the new possibilities in these communities, there were more people willing to return and stay as the economy looked healthier. At a chiefs’ meeting in Winnipeg in 1998, a chief from Deer Lake First Nation (i.e., a First Nation community about 1000 kilometers northwest of Thunder Bay) described the need to provide a quality education to their high school students – many of whom were experiencing social and academic readiness challenges when they were forced to leave their community to attend secondary school programmes in cities and communities hundreds of kilometers from their homes. The technology that had been put in place from the earlier SMART programme seemed like a natural fit to provide the backbone for an online high school. This was the beginning of the Keewaytinook Internet High School (KiHS) in 1999. The originally pilot project focused on the grade eight curriculum, with classrooms located in three of the KO communities. The success of this pilot established the need and support to establish an online school that was inspected by the provincial Ministry of Education, but funded by the federal Department of Indian and Northern Affairs. KiHS was the first of its kind in Ontario and one of the first in Canada. KiHS provided parents and students a way to continue in the local community dynamic, yet still provide the youth a quality high school program using a delivery model focusing on the role of two teachers: an online teacher and a local teacher. The programme approaches education from a community perspective and has a classroom identified in each partner community where an Ontario-certified teacher works. Students are required to attend the classroom from 9 to 4 each day and they are tutored and mentored by the local teacher and classroom assistant in all subject areas. Each teacher is also responsible for teaching three of the online courses each academic year and these are delivered online to students in all of the partner communities. The students complete their actual studies online. The programme is primarily asynchronous, with online teachers posting activities each Sunday and students completing those activities and assignments online as the week progresses. Online teachers also schedule synchronous sessions using Elluminate or Adobe Connect, as well as using video conferencing, to work on activities that require more direct instruction. In the local classroom the teachers ensure that students have the tools and understanding for task completion. Teachers also work with the local classroom assistant to move students ahead. The school year is divided into four terms of nine weeks and students can register for two courses each term, which gives them opportunity to earn a total of eight credits a year (not unlike traditional classrooms across Ontario). Some students decide to do an additional credit if they have shown to their teacher and the administration their ability and commitment towards their studies. The teaching presence is established using instructional design, monitoring and providing feedback, and providing direct instruction to the students, as well as direct interaction with their local students. From our experience, students respond better to having a teacher present when trying to problem solve or committing to moving ahead in their educational plan. When KiHS has a positive interaction among the students, teacher, and assistant, we see more involvement and success from the students in this community. Being present in the community and experiencing the local dynamics also allows the local teacher to respond to the needs of the students as an extension of their community. KiHS has expanded from three communities in the original pilot for Grade 9 to now operating in fourteen communities with programming in Grades 9 to 12. This expansion allows the program to develop more initiatives in line with the Ministry, along with providing a larger variety of options for students. Online/Local teachers use their subject matter expertise, and their knowledge of the community and students, to develop and deliver a curriculum that is appropriate to Ministry standards while still including cultural relevance. These teachers have rich professional and life experiences, as they come from all areas of Canada and even beyond to work in this innovative program. Many teachers have established roots in the program and have remained for five or more years. This enhances the continuity of our course delivery and establishes a stronger community presence in our partnerships. Many of the remote communities that KiHS serves did not have any means of providing a secondary education to students before partnering with KiHS. There have been other distance learning programmes available, however, the success rate was generally dismal because students were required to work independently (often without having gained the independent learning skills required to be successful in that environment). With the addition of local community classrooms and a mandatory attendance for students, KiHS has developed a model where the students are well supported. They have the online instructor, the local teacher/mentor and, in many cases, a local classroom assistant. This is in addition to the horizontal support they receive from other students in their local classroom and in their online classroom environment. The program aims to provide a superior supported environment that fosters student involvement and success. Additionally, many very gifted students were being left behind in their educational potential, as no academic programmes were available in any of the First Nation schools in the NAN territory. KiHS provides access to all three streams of Ontario’s curriculum in grades 9 and 10 leading to workplace, college, and university level preparatory courses in grades 11 and 12. KiHS also has a special education specialist who travels throughout the partner communities. This specialist is responsible for developing accommodations and modifications that allow students who have never before experienced success in an academic environment the opportunity to have success in a high school programme. KiHS has also developed partnership with an adult learning programme in Thunder Bay to allow many adults who did not have the opportunity to finish high school the chance to succeed and achieve their Ontario Secondary School Diploma (OSSD) through the Prior Learning and Recognition (PLAR), a Ministry of Education initiative. Finally, KiHS has established a Co-op Education programme where students are able to gain valuable skills in the community workplace to help them move closer to a career choice while earning school credits in the process. As students become aware of the skills needed and opportunities available in their community, they are in a much better informed position to plan for a future in their community. The effects that KiHS has had on its partner communities have been immeasurable. There are additional opportunities for students to take stay engaged in the formal educational process, reducing the number of students previously found wandering the communities. 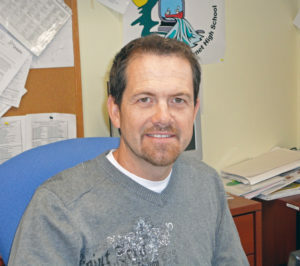 KiHS focused on its grade 11 and 12 program in 2008, and has since graduated 22 students. The program added additional senior courses in the compulsory areas because of a need recognized by the community partners. Approximately 80% of these graduates have gone on to post-secondary institutions. The overall success of KiHS has increased dramatically since it was first launched in 1999. While the initial pilot year produced results similar to many of the other First Nation high school programmes with a 19% successful completion rate, KiHS has shown a continual improvement and achieved a successful completion rate of 55% for the 2009-10 school year (with some partner communities experiencing rates above 80%). This is significantly higher than many other First Nation high school programmes. Additionally, the retention rates in the online programme are reaching 90% in many communities, with an average retention hovering at approximately 70% for the 2009-10 school year (retention is measured as the percentage of students still enroled at the end of the course, regardless of grade, compared to the students enroled at the beginning of the course). Enrolment continues to increase, for example there were a record of 220 students active in KiHS during the 2009-10 school year. KiHS continues to add programming for the ever-growing number of students in these remote communities. For example, an outdoor component has been added to the grade 9 science course, which will give students a chance to travel to a community on the Hudson Bay for one week to learn about the ecology and biology of the area with the assistance of experts from the community. A student success teacher has also been hired to identify at-risk students earlier in the school year, and to work with teachers to provide a plan and follow-up interventions to ensure these students have the supports they need to succeed. The First Nation communities in Ontario’s remote north had a unique need that was not being met by traditional education programmes. Through the distributed model of KiHS, each small community can have its own fully supported and effective high school with a network of highly trained and motivated staff. Students are now able to remain in their own communities and access the same high quality secondary education they would receive in larger centres, without having to leave the community. Communities no longer have to worry about the challenges their youth traditionally had to face, often unsuccessfully with grave consequences, when leaving the community to obtain their provincially guaranteed education. Students are now able to experience all of the traditions of their community, while getting their secondary education online through KiHS.